It takes guts to write a biographical novel in first person, present tense. When I attended the Writers Digest Conference a couple of weeks ago, Jordan Rosenfeld, then offering a presentation on points of view, asked me if I’d ever seen historical fiction written that way. 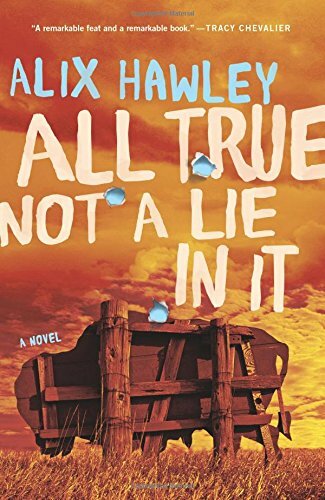 Without really thinking, I said no, only to realize that in fact I had just read exactly such a book: Alix Hawley’s brand-new novel about Daniel Boone, All True Not a Lie in It. Yes, Daniel Boone, hero of the early days of the US frontier, star of books, movies, and television. I myself, as a kid in the UK who thought New York was the capital of the United States (because it was the only US city I’d heard of as an elementary-school tyke), knew of Daniel Boone, thanks to the series that ran on the BBC (or ITV, the “commercial” station—I can’t recall). Let’s just say, the series seems to have left out a few of the more interesting bits. That happens when a studio aims at Family Hour. So what’s so remarkable about using first-person present? For that matter, what is point of view—besides one of those terms that writers casually toss around the way dancers talk about being “up on their leg,” a shorthand that blissfully ignores the reality that if you are not “up on your leg,” the solution is not in your leg but in the core muscles of your torso? Simply put, point of view (POV) refers to how the information in the story is presented to the reader. These days, a novel is most often related by one character (first-person POV, using “I”) or conveyed through the tightly focused perceptions of a given character (third-person POV, using “he”/“she”). In fiction written before the middle of the twentieth century, the most common POV is omniscient, in which a named or unnamed narrator using he/she skips about from character to character and supplies background information at will. There are variations, such as second-person POV (using “you,” as if a character were talking to herself or telling a story to someone else about himself), and rotating first-person, where a series of characters each tells his/her own story using “I”—these can be hard to pull off. Very common is rotating third-person, where individual scenes or chapters reflect the perceptions of different characters, but never more than one at a time. Each of these approaches has pluses and minuses, as you might expect—perhaps in a future post I’ll explore them. But each can also be combined with the use of present or past tense (I walk down the street vs. she walked down the street). Some readers detest present tense; others don’t mind it. Past tense dominates most categories of fiction; present tense became more common with the expansion of young adult (YA) literature and has spread into other genres. Including, it seems, historical fiction. And really, when you think of it, why not? The great advantage of present tense is that it sustains tension. A first-person story in past tense implies that the narrator lived to tell the tale. That’s not a big problem in romance, but in adventure or mystery? 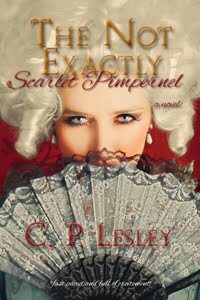 Sometimes an author wants to keep readers guessing. A novel, moreover, always takes place in the present, regardless of tense; the author’s job is to recreate the POV character’s experience in the moment, with all the emotions, perceptions, and sensations, the dialogue and actions, that together enrich and impart meaning to a set of events and relationships. Of course, third-person or second-person stories get around the suspense problem, since someone else must be relating the story, even if that person is not identified. Yet I think the main reason historical novelists avoid the present tense is subconscious: history is “the past,” so we naturally write about it in the past tense. It makes perfect sense until you remember that history exists all around us every day of our lives: we operate in the midst of it, on the ever-moving tipping point between future and past that we call the present. We see the meaning of current events only in retrospect, once we can perceive their consequences and construct a satisfactory chain of cause and effect—not necessarily an accurate explanation, note, but one that coincides enough with our views of how the universe works that we accept it. Just like our characters, we live in the present, experiencing life as it flows by. So, does it work: the first-person present in a historical novel? I have to say that in Hawley’s case it does. Her Daniel Boone has a freshness and an immediacy that so celebrated a figure sorely needs. He reels from moment to moment, relationship to relationship, crisis to crisis, and celebration to celebration. And in so doing he becomes human again—a boy racing away from tormentors, a young man courting a girl, a new husband, a captive, a hunter. I don’t know that I’ll imitate her. 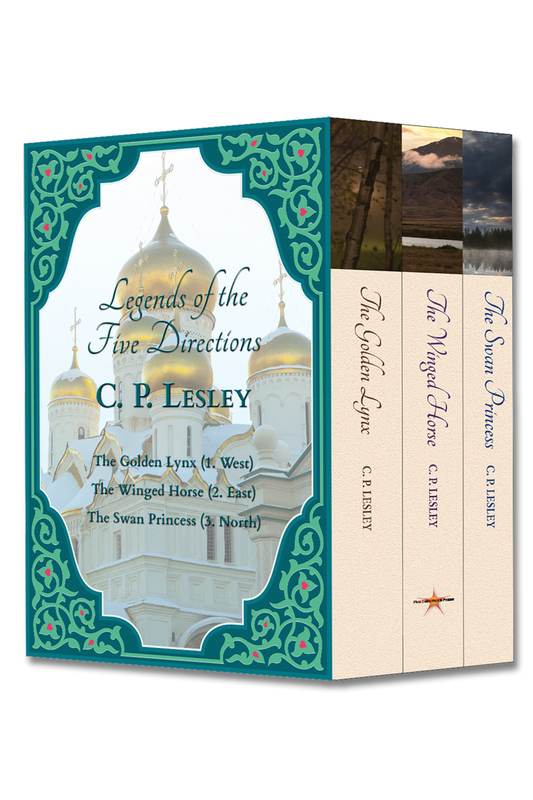 My characters are not so well known, and the conceit of my Legends series is that these stories have been repeated, expanded, transformed over centuries into something with a core of truth but a good deal of invention. Still, I like to push the boundaries of my craft, and I enjoy seeing something unfamiliar well done. Congratulations to Alix Hawley, not only for trying the unfamiliar but for pulling it off. Lots going on the last couple of weeks regarding an essential subject I rarely cover: marketing and publicity. First off, Joan Schweighardt appears in a Web interview with Mayra Calvani of Blogcritics, in which they discuss among other things, Five Directions Press. Mayra also provides a great review of Joan’s The Last Wife of Attila the Hun. Meanwhile, I was interviewed by Sonya Chung for Bloom, a site devoted to people who publish their first novels after 40 (called Bloomers, which I love!). We talk about the ups and downs of coop publishing and where it fits in the larger, rapidly changing publishing landscape. You can find the interview here. All this was in preparation for a panel at the Writers’ Digest Conference in New York on Saturday, August 13, organized by the wonderful “literary change agent” April Eberhardt. Jordan Rosenfeld also took part. We had a great response and a wonderful time. Many thanks to April for including us and to Sonya for the chance to talk about Five Directions Press. 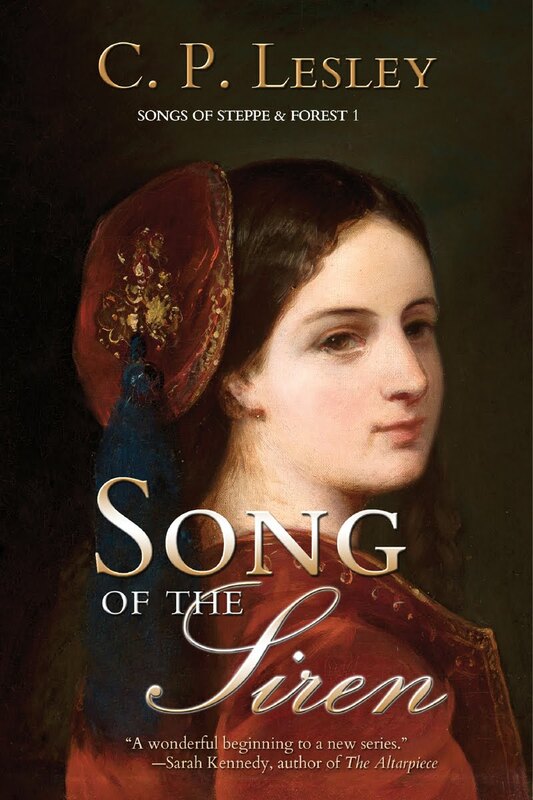 Last but not least, my interview for New Books in Historical Fiction—conducted by Joan Schweighardt—went live last Friday. After four years, I finally experienced what I put my guests through. I thank Joan profoundly for giving me a chance to talk about my Legends novels at length. All I can say is, I had fun. I hope she did, too. For more than three centuries after the Mongol conquest of 1240, the rulers of the Golden Horde played a major role in Eurasian politics, both directly and indirectly. One of the states most affected was Russia, where the ruling house of Moscow played the postconquest political game so successfully that it made itself the center of the resurgent Russian tsardom. 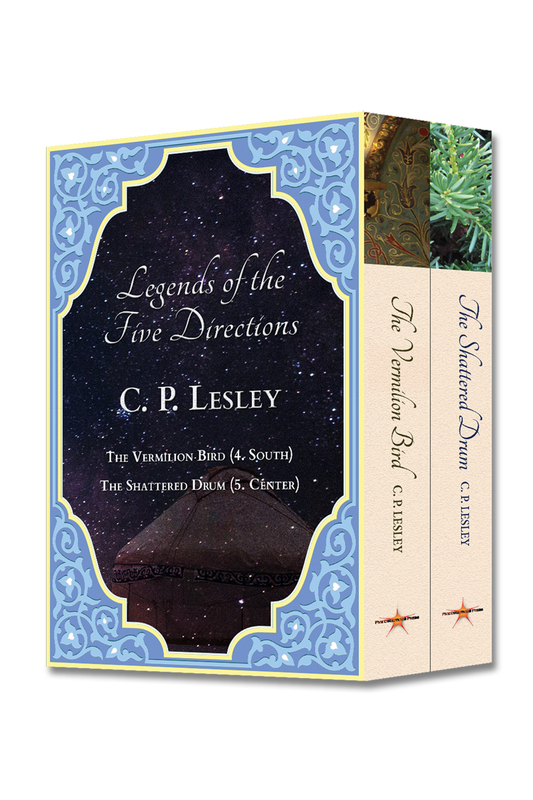 In her Legends of the Five Directions series, C. P. Lesley explores the dramatic potential of that distant and often conflict-ridden world. 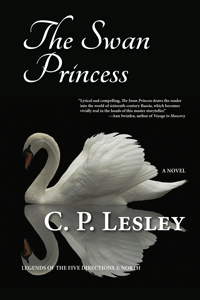 The Swan Princess (Five Directions Press, 2016)—third in the Legends series—returns to the story of Nasan, heroine of book 1, The Golden Lynx. Despite her high standing as a Tatar khan’s daughter and two years of marriage to a husband she has learned to love, Nasan has yet to bear a child. As a result, her status within her in-laws’ household is compromised. Her husband has been sent faraway; her snippy sister-in-law seldom misses a chance to score a point; and her mother-in-law, the mainstay of the household, has fallen seriously ill but is nonetheless determined to undertake a pilgrimage to a northern monastery. Nasan has reached her wits’ end when her older brother offers her an out: ride ahead and prepare the family estate for visitors while secretly investigating a renegade member of their family. Nasan jumps at the chance to strike out on her own. What she does not know is that her most bitter enemy has escaped from his Arctic prison, and he wants nothing more than to avenge himself on his relatives—starting with Nasan. 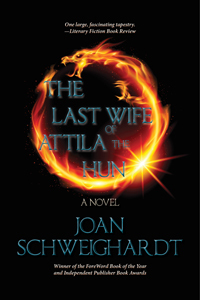 Joan Schweighardt, author of The Last Wife of Attila the Hun and five other novels, conducted this interview. Find out more about her at http://www.joanschweighardt.com. I like a good mystery as much as the next writer. Agatha Christie, Dorothy L. Sayers, Ngaio Marsh, P. D. James, Josephine Tey—but also contemporary writers like Deborah Crombie and Elizabeth George, Gillian Hamer and JJ Marsh—have enlivened many an evening as I puzzled my way through deliberately misleading clues. I tend to prefer cozy to hard-boiled, so when HarperCollins sent me not one but two recently translated mysteries by Antonio Manzini, I wasn’t sure they were going to be my cup of tea. 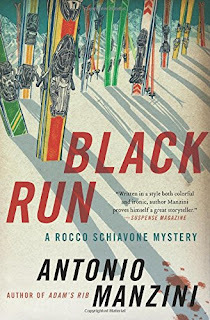 But Black Run and its just-released sequel, Adam’s Rib, are rollicking good reads, with twisty plots and clever solutions and a quite unusual setting. Deputy Police Chief Rocco Schiavone can’t get over his exile from Rome or the tragedy that has left him mourning the death of his wife. Hard-boiled, profane, and smitten with espresso, Camels, liquor, marijuana, and the urge to check out the pretty women who from time to time cross his path, Rocco regards both his current posting and its local police force with a perennially jaundiced eye. Sure, the town of Aosta is high in the Italian Alps, filled with touristy boutiques, ski runs, chalets, and restaurants, but Rocco has no use whatsoever for snow, scenery, or the unfamiliar culture of a small town where everyone he meets is related to everyone else. As for his subordinates, he castigates most of them as morons. Why, they can’t even remember his correct title. Instead, they insist on calling him by the outdated rank of Commissario. Don’t even get him started on their grasp of investigative procedure. 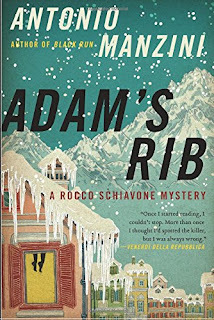 Yet somehow, despite the many obstacles that dot his path, when a lacerated corpse appears on a little-used ski run (Black Run) or a burglary turns out to be cover for a suicide—or is it murder?—(Adam’s Rib), Rocco finds ways to motivate his unsatisfactory officers into finding the information he needs to solve the crime. And each crime turns out to have hidden layers, through which Rocco steadily plods, swearing the whole way about what a pain this all is even as he’s enjoying himself hugely. Special praise goes to the translator, Antony Shugaar, for a fluid, idiomatic rendition that reads more smoothly than some works written originally in English. And right now, the e-book version of Black Run is selling for $2.99 (usual price closer to $12.99) on the Kindle and iTunes stores. Not sure how long the sale will last, so if you enjoy complex mysteries and grouchy but likable detectives, this is your chance to discover a new author. Two days ago, Five Directions Press released its latest title: Gabrielle Mathieu’s The Falcon Flies Alone, her debut novel and first in a trilogy about the adventures of Peppa Mueller, the daughter of a Harvard professor whose interest in and talent for chemistry Peppa has inherited. After her father’s untimely death, Peppa winds up in his ancestral home of Basel, Switzerland, under the care of her aunt and uncle—whose priorities in life are, to put it mildly, very different. 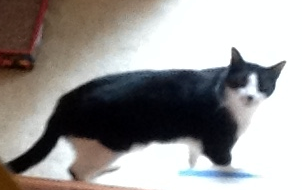 She runs away. By the time we meet her, she has only a few weeks to wait until she reaches the magic age of twenty, when she will gain access to her father’s fortune. But this is fiction, so fate (or is it design?) soon takes an unexpected turn. Courtney J. Hall outdid herself on the book cover, and the book description and the reviews set the tone. To hear an excerpt or read a preview, stop by our website. And while you’re there, don’t forget to sign up for our quarterly newsletter, which includes the free gift of hand-drawn adult coloring book pages and will place you on the list for our occasional press releases. As the sun rises on a quiet Swiss mountain village in 1957, runaway Peppa Mueller wakes up naked and stranded on the roof of her employer’s manor, with no idea how she got there. As she waits for help, she struggles to piece together fragmented memories of the previous night. Did she really witness the brutal massacre of a local family? Did she kill them? 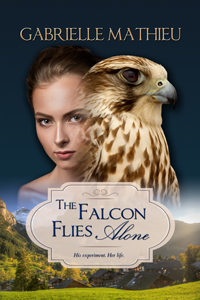 Her fear of sinister house guest Dr. Unruh fuels her panic—as do electrifying flashes of a furious falcon, trapped inside her. Wanted for murder, Peppa flees the police, intent on finding out if there’s a scientific explanation or if she’s just going mad. Her godfather, world-renowned chemist Dr. Kaufmann, risks his career to help her. In the meantime, Peppa fights her attraction to the handsome priest from India who offers her shelter. With their help, she not only finds Dr. Unruh but places herself at his mercy. His experiments may hold the answer to Peppa’s questions, but the revenge she plans could kill them both. And for those of you who enjoyed last week’s post about Bridgette Alexander’s new YA novel, Southern Gothic, my friend Susan Raab has just become the host of the latest NBN channel, New Books in Children’s Literature. Her first guest is ... Bridgette Alexander! You can hear the interview and subscribe to her free podcast at the New Books Network site.